Reach about 10 feet in length. Are the heaviest lizards on earth. Can run up to 12 miles per hour. Eat carrion, deer, pigs, small Komodo Dragons, water buffalo and humans. Can swallow prey as large as a goat. Live for about 30 years. 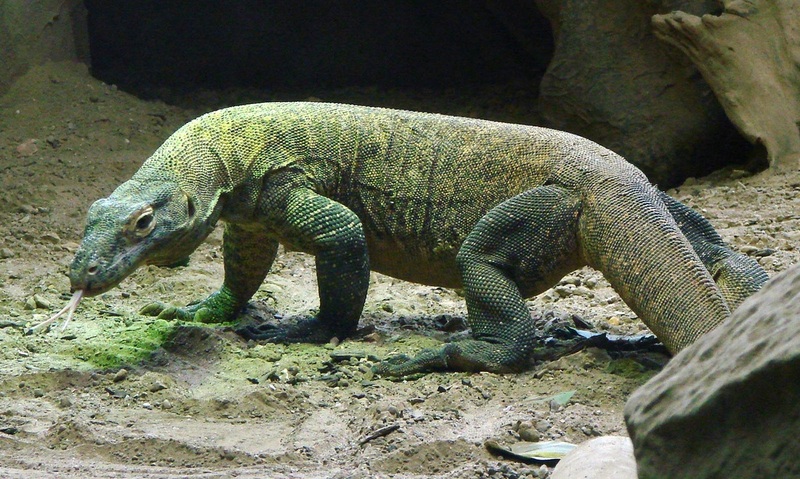 Komodo Dragons eat up to 80% of their body weight in a single meal. Newborn Komodo Dragons climb into trees in order that their parents cannot catch and eat them (the parents are too heavy to climb the trees).